The Rose City stayed in the Top 10 for the second year in a row, but dropped to No. 8 after it climbed 26 spots to No. 6 last year. 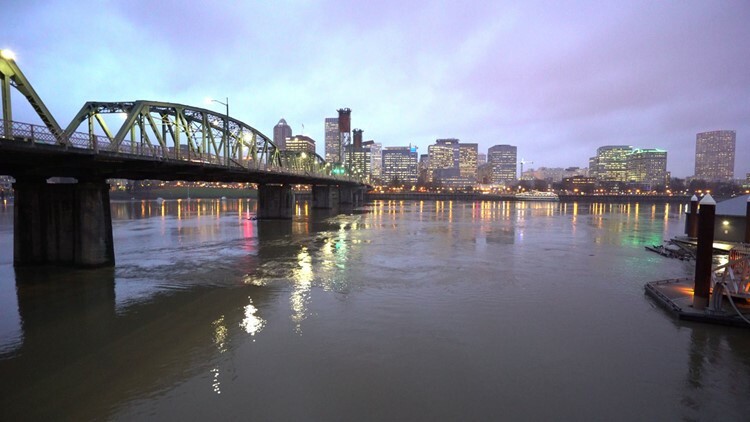 PORTLAND, Ore. — Portland is ranked in the Top 10 of U.S. News' annual list of the best places to live in the United States for the second year in a row, but dropped two spots to No. 8 after it climbed 26 spots to No. 6 last year. The Rose City rated low in housing affordability (6.0 out of 10) and quality of life (6.7), but fared better in job market and net migration (7.3 in both categories). Portland fared particularly well in desirability (10.0), which was based on a survey of 2,500 people asking where they'd like to live in the country. "Portland is a well-rounded region with more than just the offbeat shops and events. Museums, art galleries and the oldest public library on the West Coast feed a population with more academic degrees than the national average," U.S. News wrote in its profile of Portland. "Wilderness is also close by. Two mountain ranges and the Pacific Ocean can be reached in an hour or two, while the fertile vineyards of the Willamette Valley lure city dwellers with a thirst for something fresh." Like Portland, Seattle ranked low in housing affordability (5.9) and quality of life (6.6) but got a boost from high scores in net migration (7.5), job market (7.9) and desirability (9.1). "The natural beauty of Seattle — it's surrounded by both mountains and water on two sides — is one of the biggest draws for residents," U.S. News writes in its profile of Seattle. "For many, living in Seattle has as much to do with what's outside the city proper as what's inside. Less than an hour from downtown, residents escape for the day or weekend to wineries, ski resorts, hiking trails and sprawling parks."